Let’s take a look at our next novel from The Bestseller Code 100 list, The Klone and I by Danielle Steel, from a writer’s perspective. This post is likely to contain spoilers. Summary: When her husband of thirteen years leaves, Stephanie isn’t ready for the dating world. That is, until she meets someone during a spontaneous trip to Paris. Has she finally found her match or more than her match? This is one of the oldest books on The Bestseller Code challenge list, published in 1998. Labelled as a high-tech love story, The Klone and I is a mix of humor and romance. Compared to our previous book by John Sandford, this book has a paucity of characters. The main character is Stephanie. She lives with her two kids, Charlotte and Sam. Her ex-husband Roger and his new wife Helena (Stephanie calls her Miss Bimbo at first), pop into the story when they take the kids. Otherwise, Stephanie spends time with her boyfriend Peter Baker or his bionic clone Paul. Although Paul’s name is intentionally similar to Peter’s because he is Peter’s clone, the similarity between the two names was confusing at times. Because the author writes the story in the first person point of view, much of the dialogue is internal. For the first 100 pages or so, the regular dialogue is well-written and witty. Take this example where the dialogue goes back and forth like a tennis ball at a tennis match while the characters discuss playing tennis. Brilliant. “You do not. You played all day yesterday.” My point. But only for an instant. She was quicker. “That was different. That was with kids. Mom, he’s so ancient, he’ll probably have a heart attack and die on the court.” She sounded hopeful. After 100 pages, the writer’s tone changes with the introduction of the clone. “I have a million things to do today, and I haven’t finished the paper,” I said sternly, as through that would dissuade him. Ever since Roger left, I had promised myself I would wear makeup every day and keep abreast of the news. By the way, Stephanie’s efforts to improve herself after her husband leaves are mentioned numerous times throughout. Most of the book is set in an apartment in New York, with one spontaneous trip to Paris, and one summer vacation at East Hampton. Of those, only Paris sparkles, perhaps because Danielle Steel actually lives there for part of the year. Before this challenge I had never read a Danielle Steel novel, but there’s always a pile of them at the friends of the library used book sales so I assumed she’s popular. On the other hand, the number of 1 and 2 star reviews for this title on GoodReads suggested not many people liked this one. I didn’t know what to think. The first 100 pages of the novel were enjoyable to me. I read through them quickly, and laughed out loud a few times. It felt like a close BFF sharing the pain of the break up of her marriage and the pitfalls of dating while laughing in the face of adversity. Then the main character, Stephanie, meets a respectable man named Peter Baker in romantic Paris and everything falls into place. 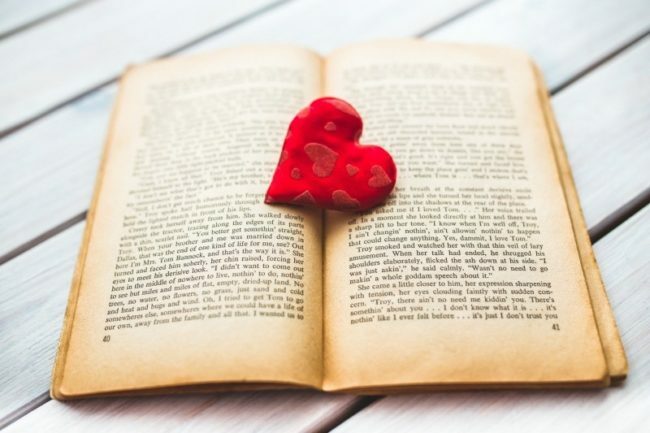 It’s a sweet, relatable story so far, but my writer’s mind is waiting for the mid-point reversal (the place where the writer surprises the reader with a twist to the story). Kaboom! The reversal drops in the title character, a clone named Paul Klone who wears a “one piece leopard spandex jumpsuit” and does flips in bed. The farce starts when Stephanie doesn’t realize that Paul isn’t Peter. From there, the believability flounders to the point where the reader begins to laugh at the author instead of with her. What happened? Looking into the background of the book, I discovered Danielle Steel’s son Nick Traina died September 20, 1997, the year before The Klone and I came out in 1998. It’s probably not a coincidence this book isn’t her best. Have you read The Klone and I by Danielle Steel? We’d love to hear your thoughts. Time to start the discussion of our next novel from The Bestseller Code 100 list, The Klone and I by Danielle Steel. Summary: When her husband of thirteen years leaves, Stephanie isn’t ready for the dating world. That is, until she meets someone during a spontaneous trip to Paris. Has she finally found her match or more than her match? This is one of the oldest books on the challenge list, published in 1998. Have you read The Klone and I by Danielle Steel? Do you think it deserves to be on the list of the 100 best? We’d love to hear your thoughts. 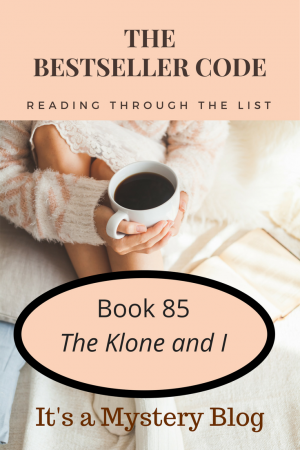 Have you written about The Klone and I by Danielle Steel? Feel free to add a link to your review here.